From left, Sandro Holzwarth (FreaKii), Philip Paschmeyer (Paschy90), and Victor Locquet (Fairy Peak!). PARIS -- Renault Sport's newest drivers, who will train at the team's Formula 1 facility in Enstone, England, go by the nicknames Paschy90, FairyPeak! and Freakii. If that seems a bit unusual, it may help to explain that the drivers are part of Renault Sport's new sponsorship in e-sports, otherwise known as professional video gaming. Renault is following other major corporate sponsors, including Audi, into the potentially lucrative e-sports world, with the goal of selling more real cars to fans of racing- and auto-themed games. "This partnership is a tremendous opportunity for the Renault brand to be exposed to new and younger audiences," Bastien Schupp, Renault Group vice president for global brand strategy and marketing communications, said in a statement on Monday. According to Renault, there are 385 million global participants in e-sports. Estimates of the global revenues generated by the industry range from AdAge's $700 million through to Renault’s $900 million, with AdAge seeing a rise to $1.2 billion by 2020. The typical participant is male and between 21 and 35 years old -- a coveted demographic that is becoming hard to reach through traditional advertising, AdAge noted. Fans can follow their favorite teams and players online and at live events that are packing stadiums. 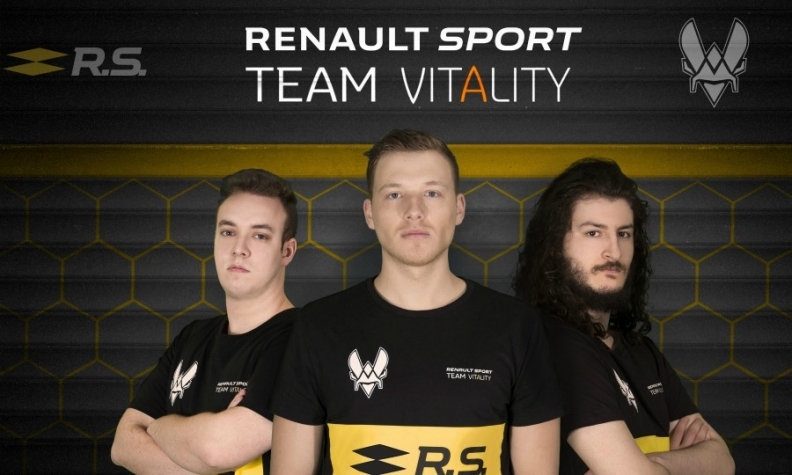 Renault will be sponsoring Vitality, a French team that has racked up titles in games such as FIFA and Call of Duty, in "motorsports-based games." The team, renamed Renault Sport Team Vitality, will participate in this year's Rocket League Championship Series Europe, which has 25 million players. Vitality's star players, Paschy90 (in real life, Philip Paschmeyer), FairyPeak! (Victor Locquet) and Freakii (Sandro Holzwarth), will visit Renault Sport's complex in England, where they will train with drivers and technicians and "meet experts who are accustomed to working in the demanding requirements of F1 paddocks," Renault said. Such training is not unusual. Successful e-sports players need to stay alert for long stretches of time and have quick reflexes -- not unlike real racing drivers. Data tracking and physical conditioning are becoming more important in both sports. And like any young drivers, Renault's video game stars are aiming for the big leagues, in this case the official Formula 1 e-sports series, which started last year. There are other ties between e-sports and Formula 1. Fnatic, a company that sponsors e-sports teams around the world, has just hired Nick Fry, former CEO of the Mercedes AMG Formula 1 team, as an adviser. Other automakers, sensing a trend, have dipped their toes into e-sports sponsorship in the past year. Audi is a sponsor of the Danish team Astralis, in a deal reportedly worth 700,000 euros. BMW sponsored the European League of Legends final last year in Paris, and Mercedes will sponsor various tournaments around the world in partnership with ESL, an online gaming giant, in a deal announced last August. "This new involvement will allow us to make contact with a very interesting new target group." Jens Thiemer, Mercedes-Benz vice president for passenger-car marketing, said at the time. In the long run, of course, the idea is to get e-sports players to put down their joysticks and get behind the wheel of real cars -- hopefully ones from Renault, Mercedes or BMW.